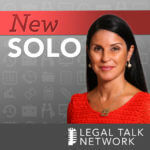 Chad Burton is the CEO of Curolegal and is a former litigator who developed one of the nation’s first “new model” law firms, leveraging cloud-based technology and modern business practices to develop a lean virtual law firm. He serves on ABA Law Practice Division’s Council and as chair of the Division’s Futures Initiative. He also serves on the Governing Board for ABA’s Center for Innovation. He regularly speaks around the country on topics related to legal technology, virtual law practice and the future of the legal profession. Chad has been quoted and published in publications like the ABA Journal, Inc., the Atlantic, and Entrepreneur Magazine. Chad was named to the Fastcase 50 list of global legal innovators in 2014 and received an award by ALM for the Most Innovative Use of Technology for Firm in 2012. 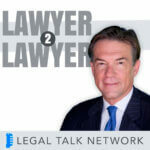 Chad Burton talks about legal technology trends and how law firms can step up their tech game.